Raspberry Pi contains several GPIO pins, which can be used as digital input or outputs (GPIO = General-purpose input/output). For example, if GPIO4 is defined as output, then setting the output value to 1 provides 3.3V into that physical pin 7. If GPIO4 is defined as input, then it can read values 0 or 1. Value 1 means that there is a voltage detected on the physical pin 7. The same physical connector also has pins for other interfaces, for example for a serial interface SPI. (MOSI, MISO, SCLK). The physical pins for SPI are 19, 21, 23-26. SPI is usefull for reading analog values from outside world via ADC (Analog-to-digital converter). Some ADC chips contains the SPI and can therefore be directly used with Raspberry Pi. However, if one wish to connect Raspberry Pi with physical devices, it is easier to buy one of the expansion boards. For example, Gertboard. In this blog, we take a simple look on some examples and are using python for programming. Please see RPi GPIO Code Samples for more details on programming languages available, for example wiringPi is very widely used from different programming languages. This is demonstrating on how to use GPIO. 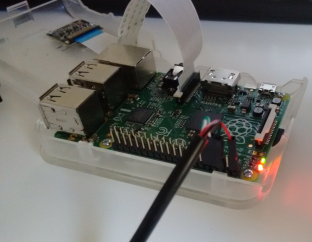 This is following the instructions: Reading and writing from GPIO ports from Python. 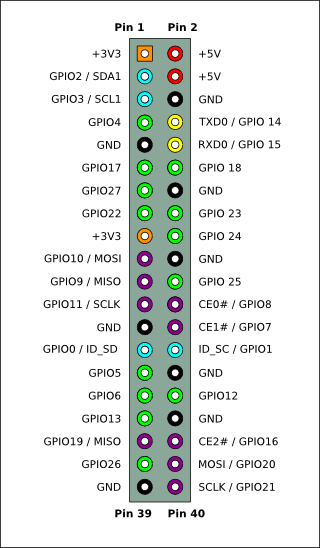 Note, GPIO4 is physical pin 7, and GPIO25 is physical pin 22. When change is detected on GPIO4, then my_callback is executed and output of GPIO25 is set to same value as is read from GPIO4. In this case ADC is used to measure the output voltage from a temperature sensor. The value from ADC is read via SPI. 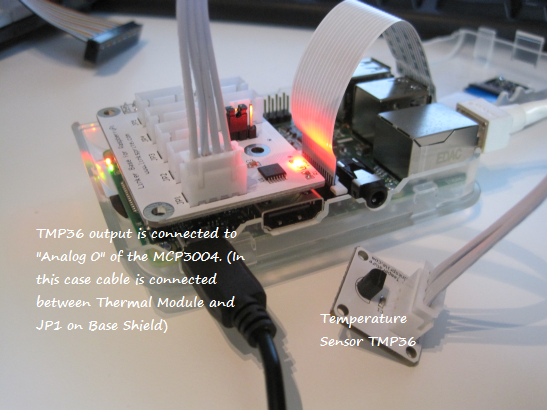 Thermal Module, containing a low voltage temperature sensor TMP36. Please note, that the reading from serial interface (SPI) is done with the command spi.xfer2(). This entry was posted in DIY, For Fun or Interest, Gadgets, Hobbies and Other Interests, Innovation and new tech, Internet of Things and M2M, Raspberry Pi, Tests, Tips. Bookmark the permalink.